This transitional designed Bush L shaped desk has a uniquely colored Maple Cross finish that sets it apart. It is compact and can sit in the middle of a room or function as a corner desk in your home office. 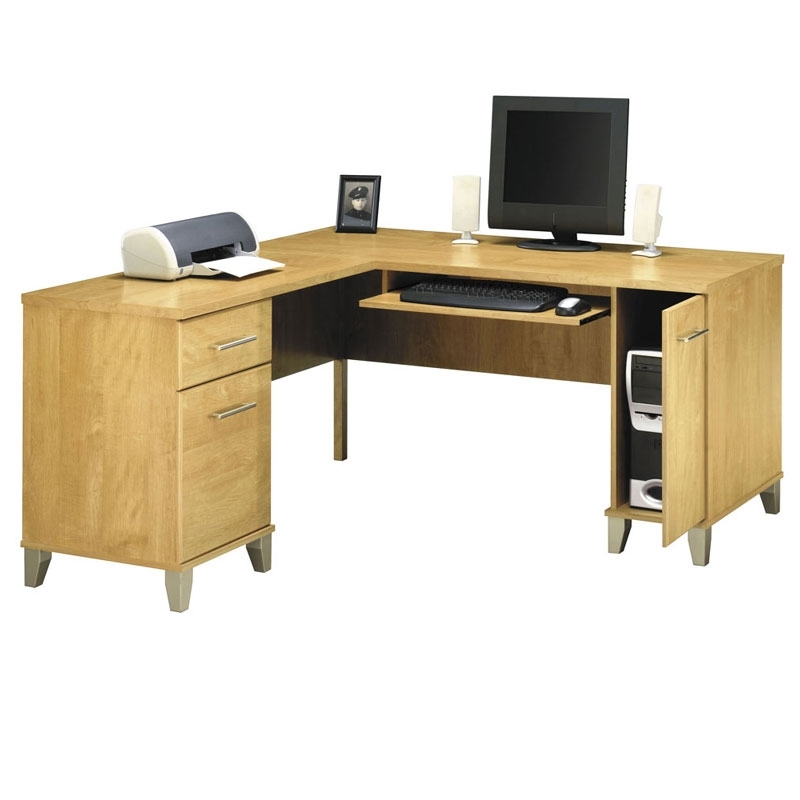 Warranty and free shipping available on all office furniture.